Right now all the flowers and trees are blossoming and the pollen is blowing in the wind! I love this time of year however I understand how difficult it is when you suffer from a pollen allergy which can be called Hay fever. It is a common allergic condition that affects up to one in five people at some point in their life. Pollen is a fine powder released by plants as part of their reproductive cycle. It contains proteins that can cause the nose, eyes, throat and sinuses (small air-filled cavities behind your cheekbones and forehead) to become swollen, irritated and inflamed. Hay fever is one of the most common allergic conditions. You can get hay fever at any age, although it usually begins in childhood or during the teenage years. It’s more common in boys than girls. In adults, men and women are equally affected. You’re more likely to develop hay fever if you have a family history of allergies, particularly asthma or eczema. 4. Use natural health modalities such as nutrition, supplements and essential oils which help the body re- establish its homeostasis in turn lessen the symptoms and in some instances completely eradicate the allergy . Here is a video that has an Essential Oil Formulation to help you if you suffer from Allergies and Sinus! I know this formulation will help you to breath better and enjoy your Summer!! 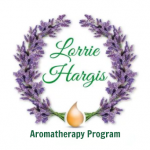 This entry was posted in Allergies, Eucalyptus essential oil, Geranium Essential Oil, News Updates, Peppermint Essential Oil, Rosemary essential oil, Sinus and tagged allergies, Eucalyptus essential oil, Geranium Essential Oil, peppermint, Rosemary Essential Oil, sinus on June 19, 2016 by Lorrie Hargis.